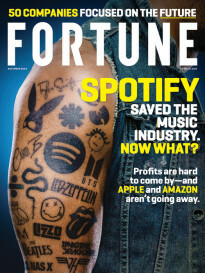 Editor’s note: Every Sunday, Fortune publishes a story from our magazine archives. This week we turn to a 2009 story about the risks of trading complex derivatives, cautioning that even if Washington beefs up financial regulations, things could still go awry. The topic has come to the forefront (again), after JPMorgan Chase announced an egregious $2 billion trading loss. CEO Jamie Dimon has warned about the supposed dangers of over-regulating banks. Now critics have use his bank’s losses as further proof that serious regulation is needed. Will Dimon have reason to change his mind? Washington wants to step up regulation of these complex instruments, but new rules may not be enough to tame them. Since it is chillingly clear that U.S. financial institutions have for a good while been regulated no more stringently than, say, demolition derby drivers, Washington has belatedly locked the garage door and begun to debate strict new rules. The blueprint at hand is President Obama’s sweeping proposal in mid-June to revamp the responsibilities of government agencies and impose new regulations on the financial establishment. Nothing about this plan will fall easily into place: Too many government agencies will dig in their heels. Too many financial companies will battle every aspect of reform that threatens their bottom lines. Inevitably the center of controversy is going to be the complex instruments called over-the-counter derivatives. These are contractual arrangements between two parties—at least one of which is likely to be a giant financial institution—that transfer risk. They typically have notional values (par values, essentially) in the millions of dollars, are often long in duration, and go by such names as swaps, forwards, and options. And they are, not incidentally, a source of lush profits for banks. Perhaps for that reason, it is the amazing contention of some in the financial world that derivatives sailed quite smoothly through the financial crisis. One banker said recently that the derivatives problem at AIG was mainly that management wasn’t paying attention. This article will present a different view. We’ll start with reminders of how derivatives contributed to the collapse of Bear Stearns and AIG, in the process delivering a large, and detested, bill to the U.S. taxpayer. We’ll also go behind the scenes of the bankrupt Lehman Brothers, whose 900,000 derivatives contracts are proving once again that the sheer complexity of these instruments is itself an enormous problem. So is regulating them, which does not mean we shouldn’t be trying. A basic reason for favoring regulation is that derivatives create a kind of mirage. They don’t extinguish risk, they simply transfer it to a different party—a counterparty, as the term goes. The ultimate outcome is millions of contracts and an endless, virtually unmapped, web of connections among financial institutions. That maze exists today, and so does the systemic threat it raises: that some major counterparty will go bust and drag down other institutions to which it is linked. We came perilously close to such a chain reaction in the past 18 months, as both the economy and the financial system buckled in distress. Derivatives cannot be called the central villain in this drama. That dishonor belongs to some combination of bad management and a real estate world gone crazy. But derivatives elevated the stakes, as they seem constantly to do. Today, as the financial system goes about digging itself out of the muck of trouble, no one imagines that the risks of derivatives have diminished. That’s what the regulatory clamor is all about. We did not get to this juncture without red flags flying. 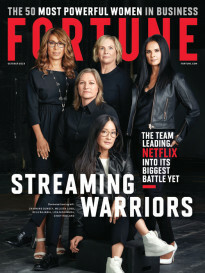 In a 1994 cover story by this writer, Fortune called derivatives, then relatively new on the scene, “The Risk That Won’t Go Away” (see fortune.com). Roughly a year later, there was a rash of derivatives problems that punished companies like Procter & Gamble and American Greetings and supported the notion that most nonfinancial CEOs didn’t have a clue about the intricacies of these instruments. That conviction endures today, as one story after another emerges of derivatives bets gone wrong: Harvard (at the behest of its then-president, Lawrence Summers) entrapping itself in an interest-rate swap that drained its cash; Alabama’s Jefferson County entering into swaps that have helped push it toward bankruptcy (see “Birmingham on the Brink” on fortune.com). In 1998 derivatives even helped usher the managing savants and Nobel Prize principals of Long-Term Capital into disaster. Not too long after that, Warren Buffett tagged derivatives with the name that follows them everywhere, “financial weapons of mass destruction.” But if this description was to enter the lexicon of finance, it was not to stop derivatives’ spread. Between 2000 and mid-2008 (the peak so far), the worldwide notional value of derivatives went from $95 trillion to $684 trillion, an annual growth rate of 30%. A new form of derivatives, credit default swaps, a sort of rich chocolate to the plain vanilla of interest-rate swaps, became the rage during this period. Initially these CDS allowed institutions to insure the creditworthiness of bonds they held, and next permitted speculators—controversially, to say the least—to pressure the prices of bonds and other fixed-income securities. That’s a head-snapper for sure, considering that despite this progress we suffered a disaster so cosmic that it crushed the economy and brought down an appalling collection of famed U.S. financial companies. Consider the main wreckage of 2008: Bear Stearns, bought by J.P. Morgan Chase; Fannie Mae and Freddie Mac, taken over by the U.S., the parent that didn’t want them; Merrill Lynch, bought by Bank of America; Lehman, gone bankrupt; AIG, rescued by the U.S.; Wachovia, bought by Wells Fargo. It was the earliest casualty of these, Bear, that brought a new concept—”too interconnected to fail”—to the forefront. Going in, the government really did not want to save the company. Robert Steel, a ranking member of Henry “Hank” Paulson’s U.S. Treasury team, remembers the case against a rescue: “Gee whiz, this isn’t a depository institution. It should just go out of business.” Nor was it that Bear was a colossus in derivatives: Its book at the end of the company’s 2007 fiscal year (its last) had a notional value of “only” $13.4 trillion, compared to $85 trillion for the giant among U.S. derivatives dealers, J.P. Morgan. Bill Winters, co-head of investment banking at J.P. Morgan, says that in Bear’s last week—as the firm teetered between bankruptcy and being bought by his company—he even worried less about derivatives than he did about the many billions that the firm borrowed every day on its assets in the overnight loan market. If Bear went bankrupt, Winters could imagine all those assets being calamitously dumped on the market. Bankruptcy, of course, didn’t happen. On Sunday, March 16, 2008, J.P. Morgan agreed to buy Bear in a government-brokered deal to which the feds contributed guarantees of $30 billion (later reduced by $1 billion). And two weeks later Geithner appeared at a Senate hearing to explain this huge intervention (well, it seemed huge at the time). He didn’t talk about the overnight loan market. He stressed instead that bankruptcy for Bear could have led to the “sudden discovery” by its derivatives counterparties that hedges they had put in place to protect themselves were wiped out. The prospect, he said, would then be a “rush” by Bear’s counterparties to liquidate collateral and replicate their hedges in already fragile markets. Derivatives, in other words, had changed Bear from a broker-dealer that could have been simply the latest name on a Wall Street tombstone to an entity that the government needed to save because it was too interconnected to fail. That dread epithet could be applied in spades to AIG. On Sept. 16, precisely six months after Bear’s rescue, AIG’s board called in lawyers and prepared to file for bankruptcy. But, as the whole world knows, the government stepped in to save the company, eventually committing $180 billion to keeping it solvent. AIG’s particular burden was $80 billion of credit default swaps it had sold that exposed it to subprime mortgages (see “AIG: The Company That Came to Dinner” on fortune.com). When real estate caved, AIG’s financial products operation (FP) received calls for collateral from its CDS counterparties and at first complied. But the next round of calls exhausted AIG’s resources, and bankruptcy loomed. Derivatives certainly did not cause the earthshaking failure of Lehman on Sept. 15 last year. The blame can be laid first on out-of-control leverage and bad investments in commercial real estate, and second on the U.S. government’s decision not to save the company. But the Lehman saga illustrates another toxic aspect of derivatives: They are often a mess to value. That can lead, intentionally or not, to misreported profits and assets. It turns out that the files of this biggest-ever bankruptcy prove the accounting complexity in quite bizarre ways. Basic facts first: Lehman had a derivatives book of only $730 billion as it neared bankruptcy. Even so, when Lehman’s U.S. entities filed for Chapter 11 in September, this not-so-big figure translated into about 900,000 derivatives contracts. The great bulk of them have been “terminated” by derivatives counterparties which under industry protocols had the right to immediately “net” their accounts with Lehman in the event it declared bankruptcy. A handful—the last reported number was 18,000—are still open. Each of these contracts has a “fair value”—an amount that one side owes the other. Lehman, in fact, has a lot of open contracts that have been going its way. In a droll sign of how derivatives have come to be viewed as indispensable, Lehman has received permission from the court to buy them to hedge some of its open contracts, so that it can lock in the profits it has made since filing for bankruptcy. Move now to the accounting problem. While sometimes the fair value of a derivative can be precisely determined, at other times it must be derived from murky markets and models that leave considerable room for interpretation. That gives the holders of derivatives a lot of bookkeeping discretion, which is troubling because changes in fair value flow through earnings—every day, every quarter, every year—and alter the carrying amounts of receivables and payables on the balance sheet. Even at this stage, Geithner warns, the failure of AIG would threaten to bring down the entire financial system. Some derivatives are so difficult to value that it’s possible for both parties to book a profit on the same contract. The subjectivity involved in derivatives accounting also means that the counterparties in a contract may come up with very different values for it. Indeed, you will be forgiven if you immediately suspect that each party to a derivatives contract could simultaneously claim a gain on it—which should be a mathematical impossibility. In fact, we have a weird tale, gleaned from court documents, supporting that suspicion. It involves Lehman, Bank of America, and J.P. Morgan, and suggests how far some of those “terminated” contracts are from being truly settled. When Lehman failed, one of its subsidiaries was holding (sort of, which is a point we’ll get back to) $357 million of BofA collateral—an amount that was roughly related to the fair value of Lehman’s derivatives contracts with the banking giant. Presumably BofA had delivered the collateral because it thought Lehman had a legitimate claim to it. But within two weeks of the bankruptcy filing, BofA sued Lehman to recover the $357 million, saying that Lehman in fact owed derivatives payments to BofA. Ultimately BofA placed the amount it was owed at $1.95 billion! In other words, by BofA’s thinking, Lehman didn’t have a plus of $357 million, but rather a minus of $1.95 billion. Trying to capture some of that money, BofA had by that time seized $500 million belonging to Lehman—described by Lehman as an overdraft account—held in a BofA Cayman Islands branch. Leave aside the point that anything about banking in the Caymans raises eyebrows, and behold that rich overdraft account, whose size suggests that Lehman may have been the Imelda Marcos of investment banks. As of now, there has been no court finding as to the accuracy of BofA’s $1.95 billion or whether the seizure of the $500 million was lawful. Meanwhile, BofA is still trying to recover its $357 million of collateral. But it turns out that before the bankruptcy filing, Lehman had deposited this collateral with its clearing bank, J.P. Morgan, which upon the bankruptcy seized it to cover derivatives debts that Lehman supposedly owes Morgan. So, to sum up, Morgan has captured $357 million of either BofA’s or Lehman’s assets—we don’t know which—to offset what Lehman supposedly owes Morgan on derivatives, though Morgan has never told the court what that amount is. We may put down some of these absurdities to lawyers pushing their claims. But to avoid the kind of morass this tale describes, a working group co-headed by Jerry Corrigan has recommended that the counterparties in a trade periodically discuss and agree on its value. One intermediary helping that happen is a Swedish company called TriOptima, which offers a service called TriResolve. Raf Pritchard, head of TriOptima’s U.S. operations, says his reconciliation service is booming, embraced by derivatives folk who, for example, truly wish to know what amounts of collateral should be changing hands. It sounds as if some of the Lehman litigants could benefit from the service. Considering the unending complications of derivatives, wouldn’t we be better off without them? Robert Pickel, CEO of the International Swaps and Derivatives Association, acknowledges that the opposition includes “a camp that would ban them all—like Charlie Munger would” (referring to the vice chairman of Berkshire Hathaway). But the very suggestion of a ban causes most of those with even remote connections to the derivatives business to stiffen; turn from friendly to antagonistic; question the sanity of the fool who asked; and recite the creed of financial derivatives, which is that they beneficially spread risk. Never mind that we have spent several pages casting doubt on the idea that the wholesale spreading of risk is a virtue. In the mind of all who have dealt with derivatives, and typically made their living off them, it is. It couldn’t have helped that in daylight she faced three men who were implacably opposed to regulation: Fed chairman Alan Greenspan, Secretary of the Treasury Lawrence Summers, and Senator Phil Gramm (R-Texas). Not only did Born lose the battle, but Gramm pushed through legislation that specifically barred federal regulation of OTC derivatives. Greenspan has since said he’s sorry he opposed regulation of derivatives; Summers, now economic adviser to the President, has signaled his recantation by joining Geithner in calling for strong regulation; Gramm, no longer in the Senate, would not comment to Fortune. The ranks of the converted, however, have been swelled by no less than former President Bill Clinton, who recently told New York Times writer Matt Bai that he was wrong in listening to Greenspan about derivatives and wishes he had demanded that they be regulated by the Securities and Exchange Commission. Today, the chances for regulatory reform are improved because the administration has made it a top priority, and two powerful legislators, Congressman Barney Frank (D-Mass.) of the House financial services committee, and Chris Dodd (D-Conn.) of the Senate banking committee, have signed on. The administration’s plan calls for new regulation of “systemic risk” and envisions the Fed shouldering most of the job. In that role, the Fed would have czarlike authority to move in on trouble spots wherever they flared up, including derivatives sites—like an AIG—that aren’t part of the banking system. While believing the Fed the best candidate for this role (best athlete, as headhunters say), Bob Steel, the former Treasury official, calls the regulation of systemic risk a “next to impossible job.” Essentially, it requires someone to be risk manager for the entire United States (and also be cleverly attuned to world risks, of course), when individual companies have shown repeatedly that they are incapable of managing the riskright under their noses. Suffice it to say that AIG believed for years, until the roof fell in, that those CDS it wrote were money-good. A Treasury colleague of Steel’s, David Nason, now a managing director of Washington’s Promontory Financial Group, joins him in believing that the challenge awaiting a systemic regulator will be extraordinary. But Nason says there is no question where this regulatory eye in the sky will fasten its attention: on all the interconnections between institutions. And here, he says, derivatives—”highly complicated, specialized, using their own language”—are ground zero. That means there must be new regulations for OTC derivatives. Naturally the dealer community will resist, since it believes that operating out of direct sight—in the Dark Market, as Born called it—is best for profits. But since the dealers judge some degree of regulation inevitable, their strategy is to hold it to a minimum. That leaves them not raising Cain about today’s conventional wisdom, which is that “standardized” contracts—for example, five-year, $10 million CDS on a well-known company—must be moved into a clearinghouse. This organization would, first, set capital and margin requirements for its members. Second, it would become the creditworthy counterparty for both the buyer and the seller in every contract submitted for clearing. But clearinghouses have their own drawbacks. Were there a financial megashock, for instance, some clearinghouse members could be weakened to the point of defaulting on their contracts with the clearinghouse, whose reverses would in turn threaten the stability of other members. Former regulator Corrigan is one expert respecting this risk: He says that if a clearinghouse is to be a financial Gibraltar, it needs sufficient resources to withstand a simultaneous default by two of its biggest members! That would equate to, say, J.P. Morgan Chase and Bank of America going bust. The mind reels at the thought. The big derivatives dealers, in any case, do not expect to find much use for clearinghouses. They will be asserting in any debate that there are just about enough standardized contracts to fill a thimble and that the big sewing-box of derivatives mainly produces customized—or “bespoke”—contracts that couldn’t possibly be handled by a clearinghouse. In response, the administration is calling for all customized derivatives to be reported to a central repository and for the systemic regulator to have the authority to peer deeply into the derivatives book of any individual company. Unfortunately, he may be right. That’s the trouble with genies out of the bottle: They gain a life of their own. Many people, of course, argue that the U.S. lurches into financial crises every so often, and that it is specious to think of derivatives as adding some whole new dimension to the problem. But in fact they did. The financial world lost an anchor when derivatives installed the idea that risk could be shed as easily as it was assumed. We drifted then into an interconnected world of new dangers not easily comprehended or controlled. Fifteen years after Fortune first used the description, derivatives look even more like the risk that won’t go away. Correction: Published in the July 20, 2009 issue: CORRECTIONS In “Derivatives: The Risk That Still Won’tGo Away” (July 6), we incorrectly attributed a New York Times story on Bill Clinton; the piece was written by Peter Baker.